Join a worldwide community of people who are pioneering a new chapter in the human experience, one where we protect and preserve our world and prepare for the greatest event in human history: our emergence into a greater community of intelligent life in the universe. Learn more about the free educational opportunities available and meet the thousands of people worldwide who are preparing for life in the universe. 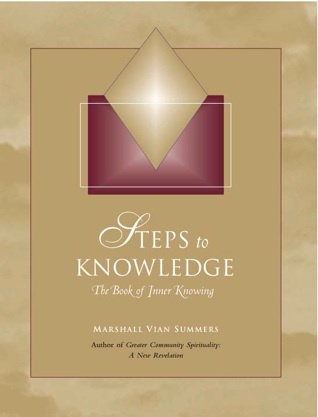 If there is one way to prepare for our future in a larger universe, it is through Steps to Knowledge. This book of 365 daily steps was given to prepare us for our emergence into a universe of intelligent life and encounter with forces from beyond our world. Steps is above all a mystery journey which, once you begin, unfolds a pathway experience and preparation entirely unique to you.